Romantic things to do in London… for free! With Valentine’s Day just around the corner, I am scratching my head trying to come up with a budget-friendly way of celebrating the day with my boyfriend. In the past we have baked cookies, taken a ride on the Emirates Skyline and visited the Sky Garden in the evening (there is definitely something romantic about views and lights). These thoughts have inspired me to make a list of the top 5 free romantic things to do in London. Many of London’s museums and galleries stay open late at least one night a week (Timeout gives you the full list here). Aside from all of the interesting things you can normally see there’s usually something a bit special like DJs, crafts, performances or theme nights; you can also grab a drink and a bite to eat. Home to over 2000 species of exotic plants and trees, as well as fish, the conservatory at the Barbican is a fun place to explore. 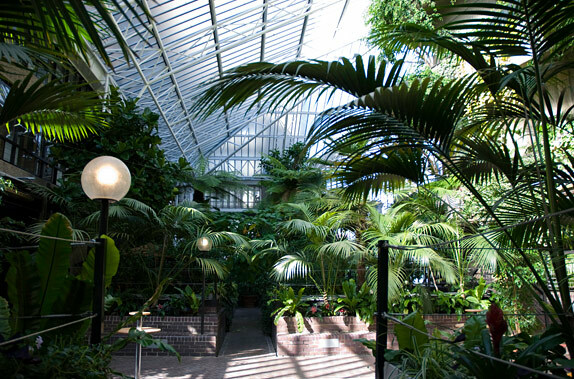 It’s the second biggest conservatory in London but its hidden location in the heart of the city makes this a tropical (and romantic) oasis. The conservatory is open most Sundays from 12pm – 5pm (check the website just in case) and is free to enter; if you want to splurge you can have afternoon tea there too. HINT – Valentine’s Day falls on a Sunday this year! 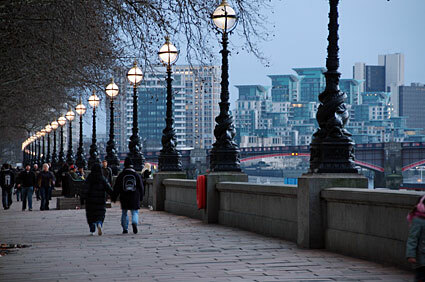 When I first moved to London I lived in London Bridge and one of my favourite things to do in my spare time was to take a walk along the South Bank… It’s especially pretty in the evening when the sun goes down and the lights are turned on. Amuse yourself by watching the street performers, see which exhibitions are on at the Southbank Centre or just simply take in the sights – my personal favourites are the Houses of Parliament in the evening or St Paul’s Cathedral from Millennium Bridge. 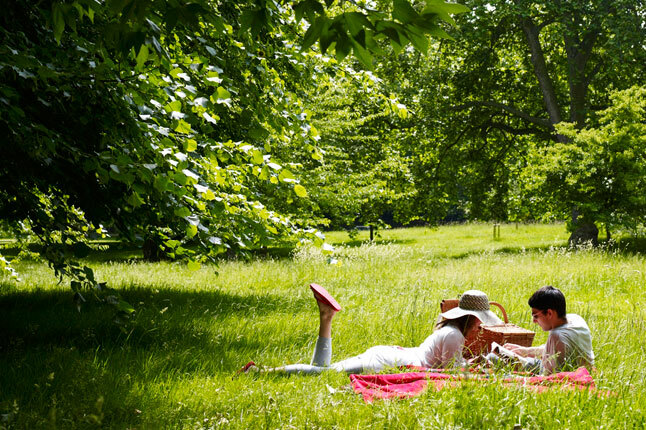 I was pleasantly surprised by the number of green spaces that London has to offer – make the most of a sunny day in London and pack a romantic picnic for two. Hampstead Heath was featured in everyone’s favourite romantic comedy – Notting Hill, Greenwich Park offers amazing views of Canary Wharf and Central London, there’s a boating lake at Hyde Park (if you want to channel your inner Bridget Jones and hire one yourself it’ll cost £12 per adult) or you could go deer-spotting at Richmond Park. At some point in your life you have probably carved your initials, and those of your crush, into a school desk – why not put your love in writing at the Leake Street Tunnel? 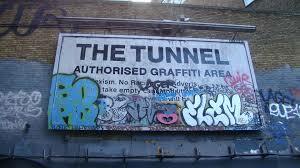 The tunnel is the longest legal graffiti wall in London and is a cool place where street artists can come and practice their art without the fear of getting arrested. It has been like this since 2008 when Banksy organised the ‘Cans Festival’ here, shortly followed by the tunnel becoming pedestrian only when the Eurostar terminal moved from Waterloo.